Optical hazing is colourless, and just looks like smudges on the surface. If your surface has a white haze on it, you are more likely to have grout haze – visit our Grout Haze common problems page. 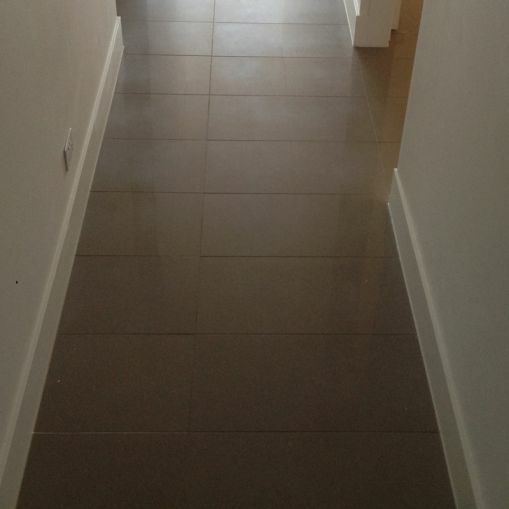 Optical hazing is caused by sealer residue, from the factory sealer applied when the tiles were processed. 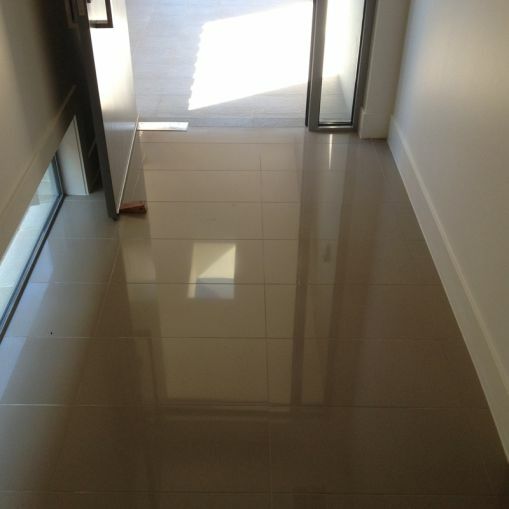 This can occur on polished or semi-polished porcelain tiles. 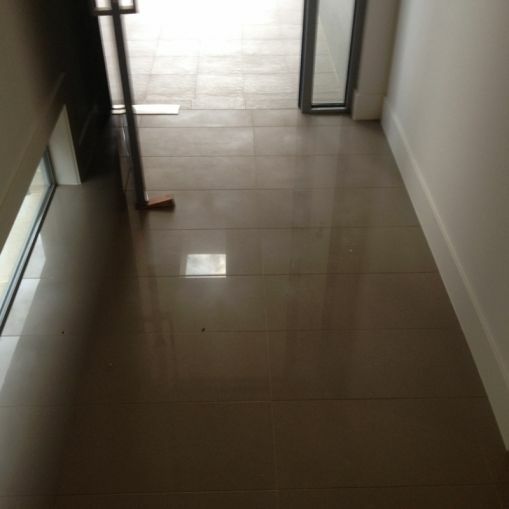 The sealer residue can be seen as cloudy or swirling marks across the tile surface, often with some consistency or pattern to the location of the marks, and is more visible in low angle light. These sealer residue marks can be very difficult to see when viewed directly from above. For this reason the problem is commonly called ‘optical hazing’. 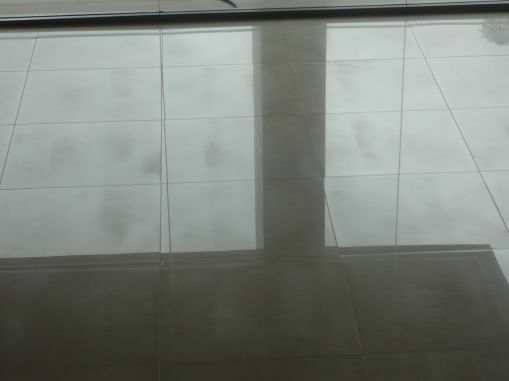 Optical hazing occurs when polished or semi-polished tiles are factory processed, either by factory applied ‘nano’ sealers, or through the abrasive tile polishing process. 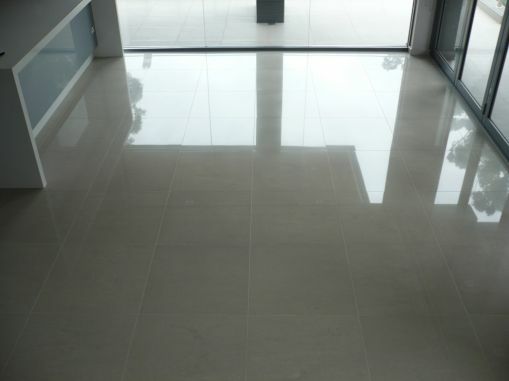 It does not occur in matt tiles, or on any type of polished natural stone. Is it possible to get rid of optical hazing? 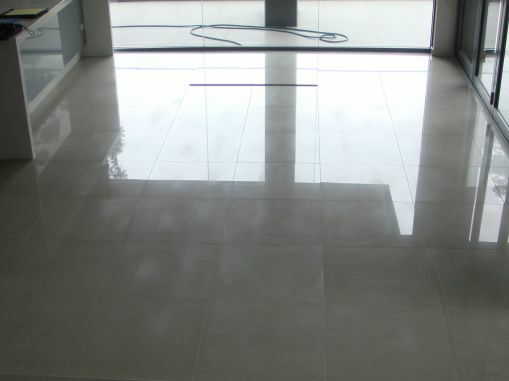 Slique has developed a unique and exclusive process to remove optical hazing by repolishing porcelain floor tiles. This will completely remove the cloudy look from the tiles. Slique is the only company able to achieve full restoration of optical hazing. 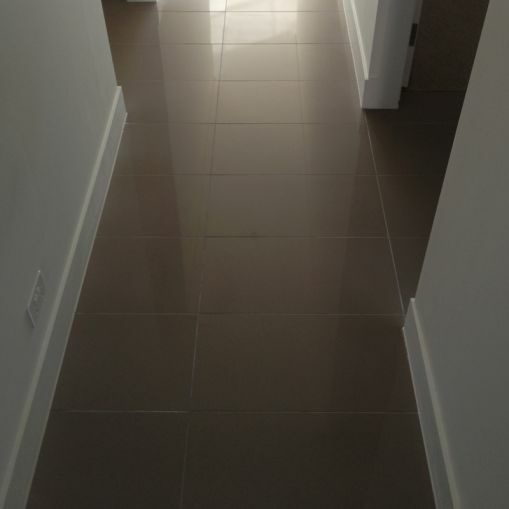 Optical Hazing MAY be considered a tile defect under the applicable consumer law, in which case there may be recourse against the supplier to rectify the problem. If you have optical hazing caused by excess sealer residue, you can book a free Slique Consultation – we’ll come and confirm your problem, and give you a quote for our Technicians to professionally restore the surface to as-new condition.